Remember when Sal and Don flew to London to work their magic on the London Fog account, and then Sal got some man-lovin’ as well? Of course you do, which is precisely why you want to be a part of this magic moment. Just be sure you don’t forget some pajamas for the flight. 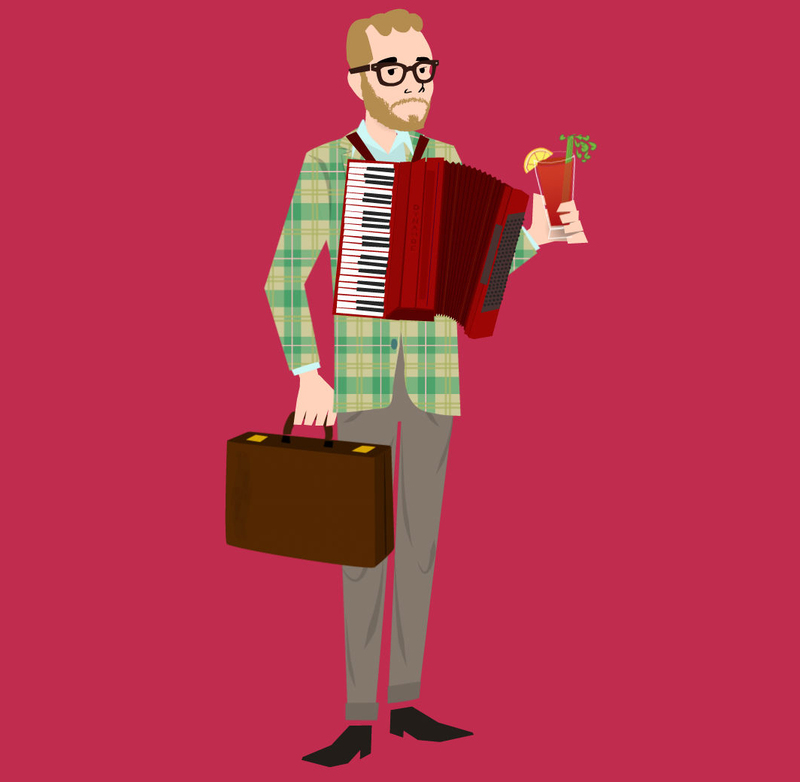 International travel can be so terribly exhausting, particularly when you’re biding your time ’til you get to stuff your face with fish and chips and faggots by playing the accordion. 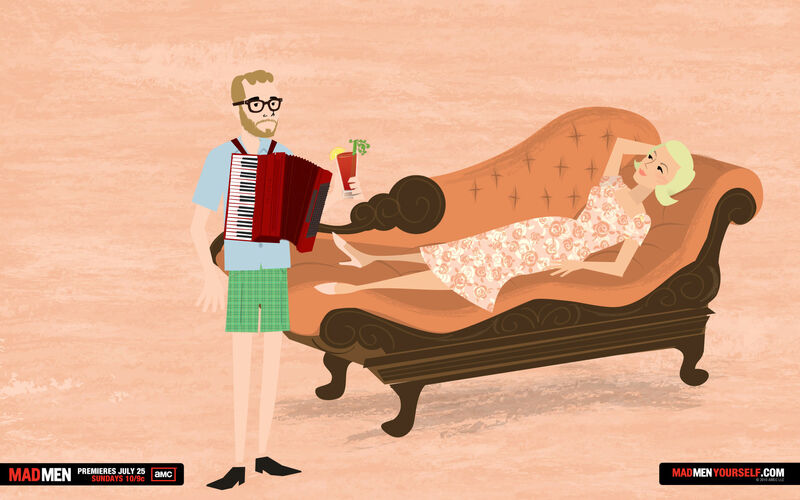 And of course, how could you not want to relax after a hot summer’s day of ignoring your children with a Bloody Mary and a recline on your chaise lounge? I mean, Betty Draper covets her chaise lounge. I covet her chaise lounge. Perhaps you covet her chaise lounge too. Regardless of your position on chaise lounges, though, it’s an obvious win-win situation. Unless you’re Bobby or Sally Draper, in which case you should go just occupy yourself with a plastic bag. While I play the accordion. You know, the one where Betty and Don take a trip to Italy, and Betty gets her hair styled fabulously (so fabulously! ), but then she has an “unfortunate” boating “accident” that’s in no way related to that one scene in Talented Mr. Ripley, and then you have to dash down to the Piazza in your finest attire and console Don a single rose? 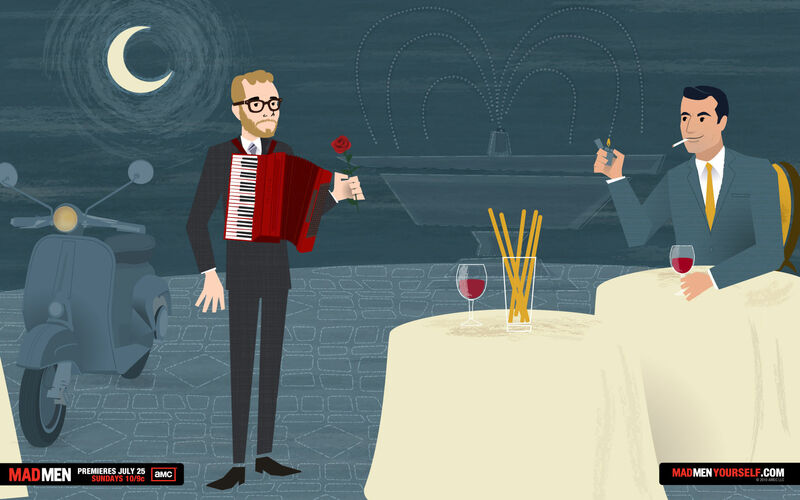 And some sensual accordion action to set the properly romantic mood? Okay, so maybe that’s not quite the way it actually went down in Italy, but that’s the beauty of more Mad Men Yourself, you guys: it’s just like fan fiction, but with the exemplary stylings of Nobody’s Sweetheart‘s Dyna Moe, and an even less subtles sense of homoeroticism. Oh, and accordion. So much accordion. This entry was posted on Wednesday, July 7th, 2010 at 2:27 pm and is filed under Television. Tagged: Betty Draper, Don Draper, Homo Things, Joan Holloway, Mad Men, Mad Men Season 4, Mad Men Yourself, Rampant Enthusiasm, Salvatore Romano, Viral Marketing. You can feed this entry. You can leave a response, or trackback from your own site. 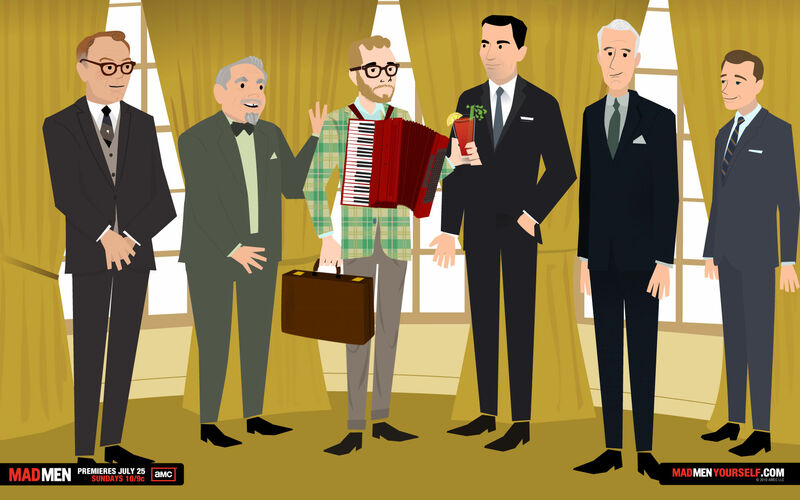 I love the Mad Men Yourself avatar generator, but more than that, I love your avatars and this post. 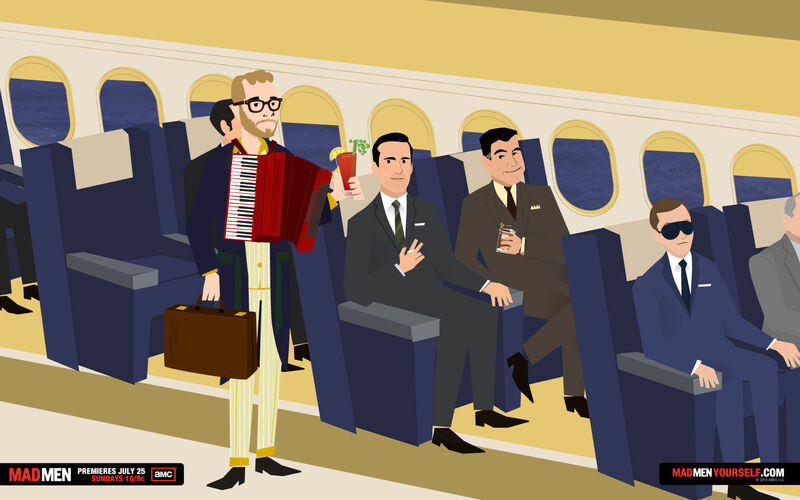 I have entered a contest to win a walk-on role on that retro-licious TV show, “Mad Men”… but I need your vote to win! If you don’t mind taking a couple of seconds to vote for me, click the link below – it will take you right to my picture.